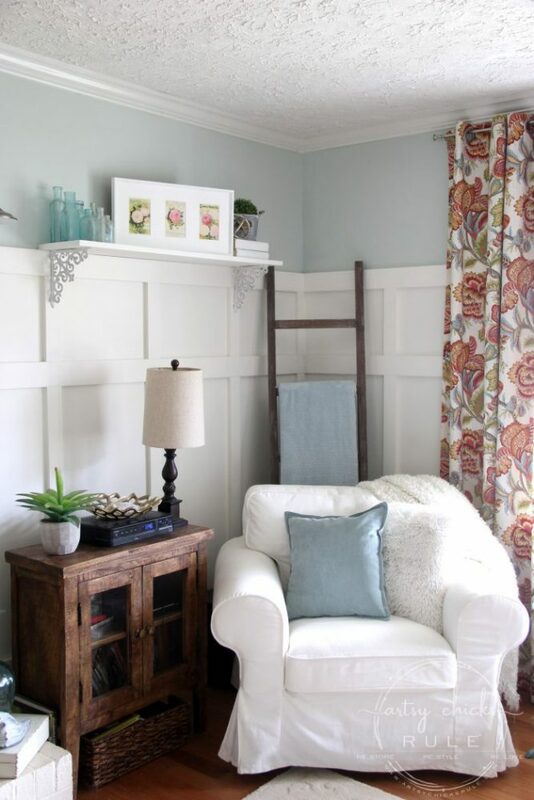 Board and batten adds a nice touch to any room. 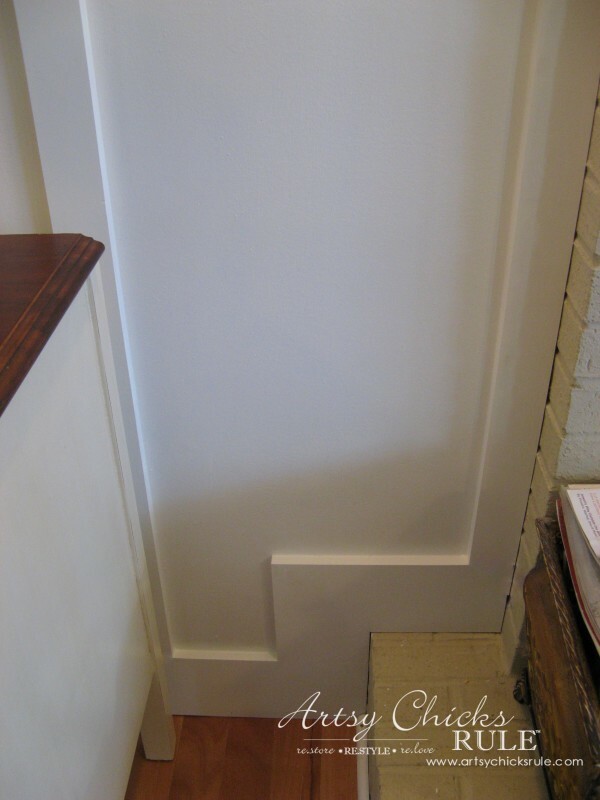 Creating faux board and batten does too, it’s just easier to install! 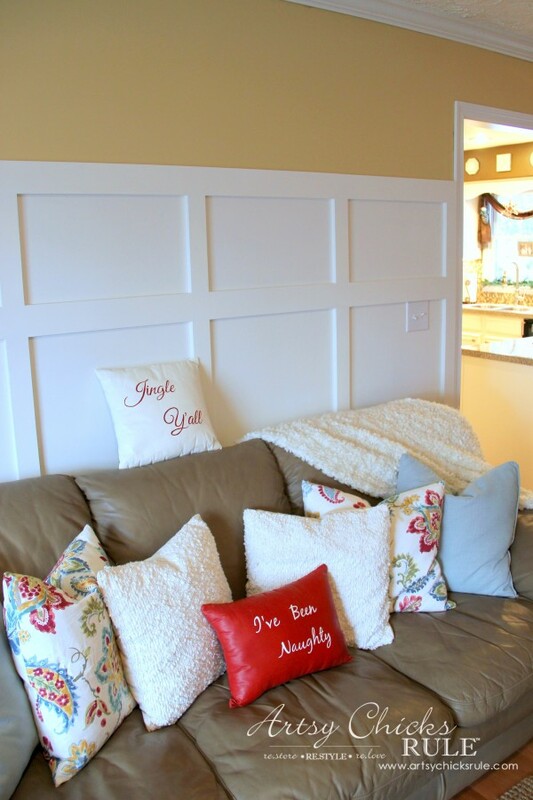 I’m back today to talk about this faux board and batten we put up in our Family Room…gosh, 2 years ago now. 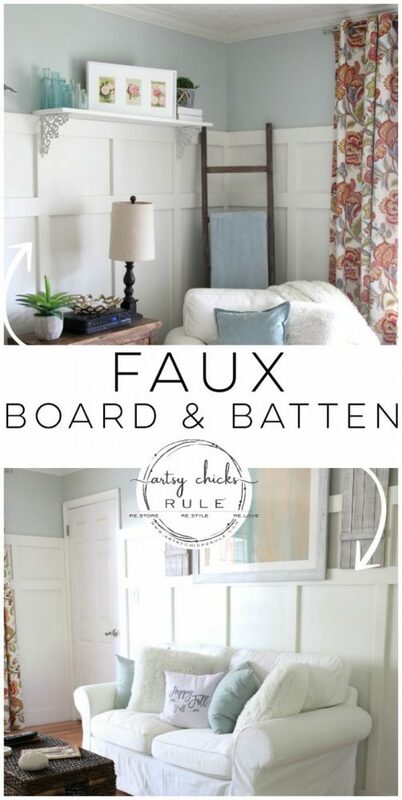 And it’s “faux” because it’s really only batten. I did take photos as we went but it was hit or miss! 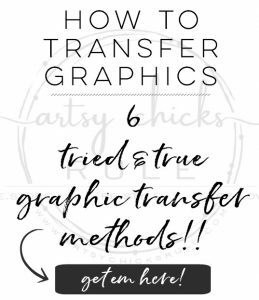 So this will be a basic tutorial of sorts. 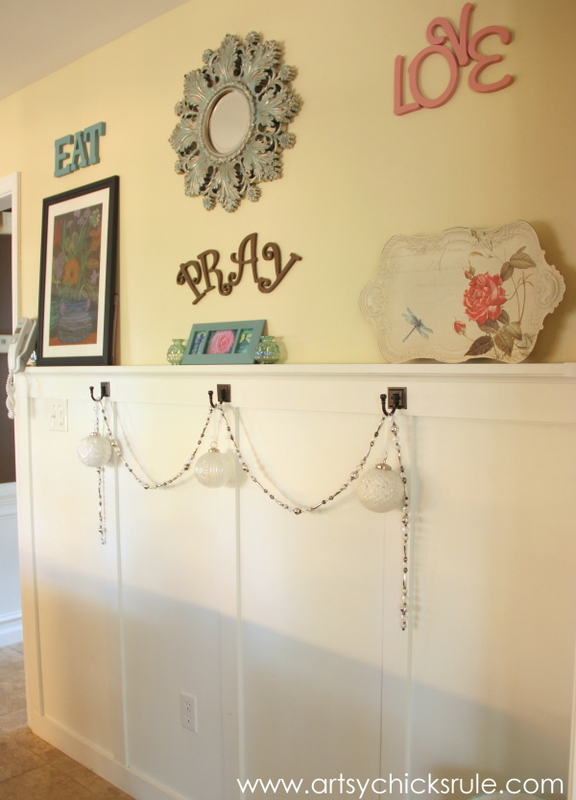 And I’m also showing our very first board and batten project…the wall in my kitchen. It actually IS board and batten. 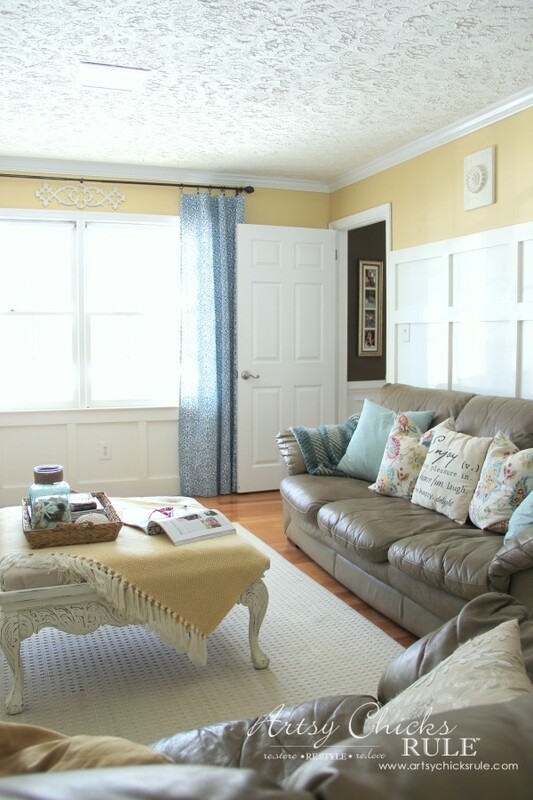 We did that one before I started blogging and it was a good “practice run” before tackling the larger family room. 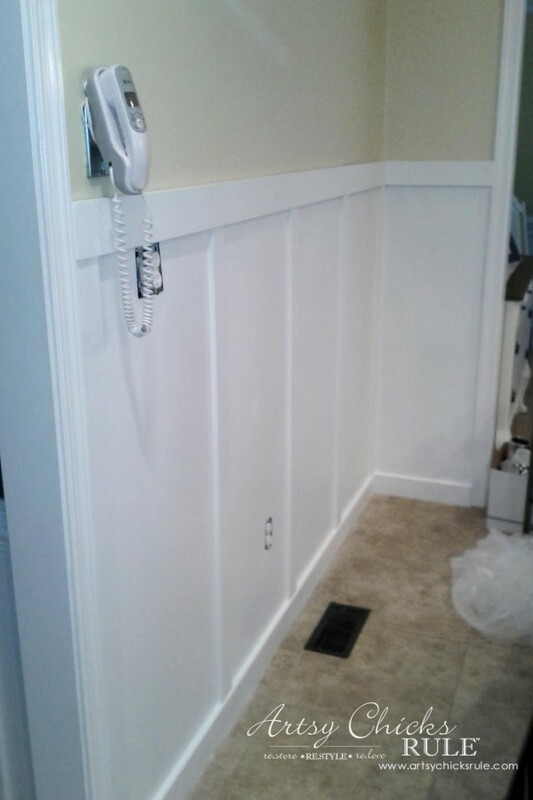 Here is our first board and batten project…. 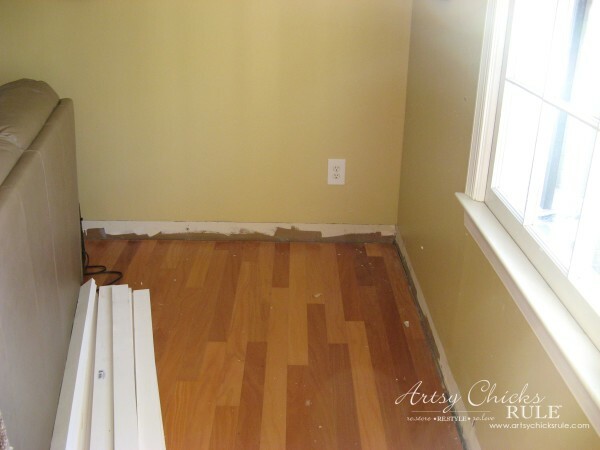 You don’t have to take the baseboard that you have off. There are several ways around that to sort of match it up. BUT my husband and I both weren’t thrilled with the way that looked. So yes, we did remove the baseboard in the kitchen and in the family room. 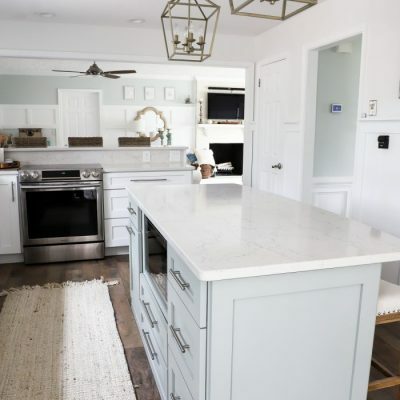 In the kitchen, we used smooth hardboard as the backing, added the battens and new matching baseboard. Then we added a ledge up top. I wanted to be able to set things on this one. 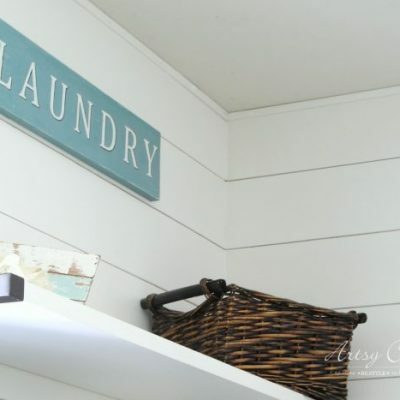 I don’t necessarily hang too much from the hooks but I liked the way they look. 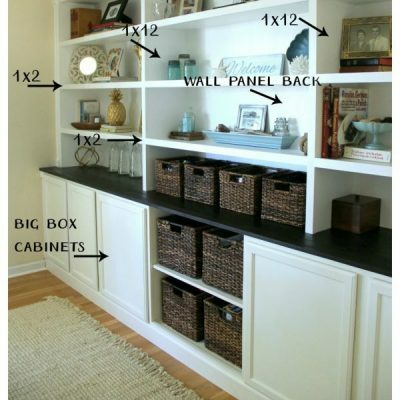 For the family room, I decided I wanted a double box look ….and no ledge. I wanted it to have more of a clean look. We also realized that we didn’t need that smooth hard board. So this go around we just added the wood and saved money! 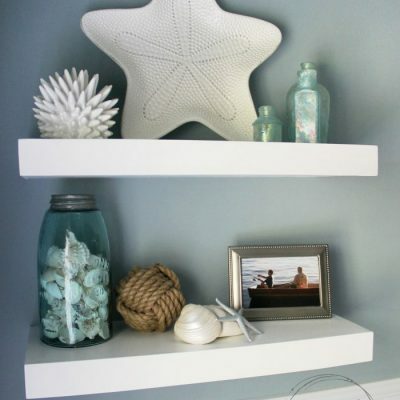 If your walls have a lot of texture I would still recommend using the hardboard, however, for a smooth, seamless look. 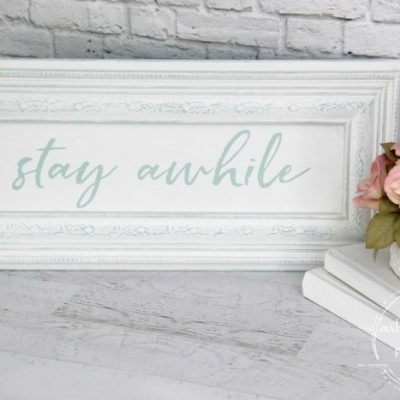 So, the first tip, for any faux board and batten, I will give you is this….. I was in a hurry to get this job going and didn’t. It would have made my job so much easier if I had. 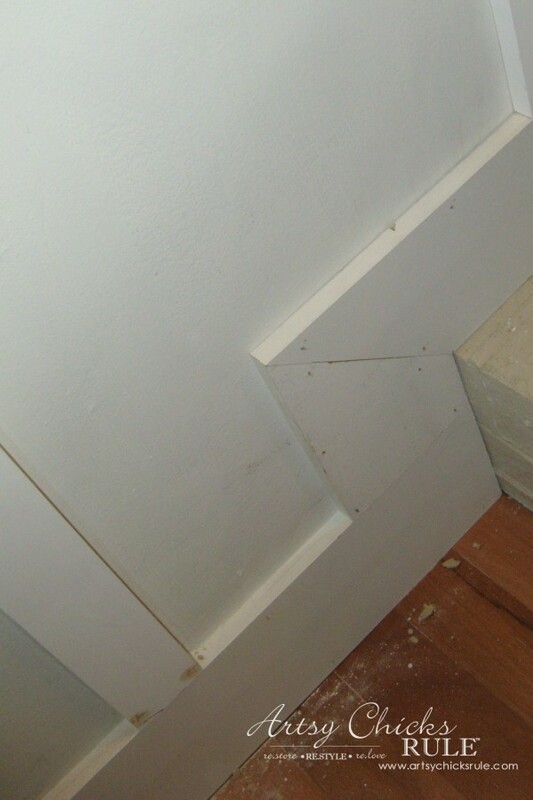 Since we decided to remove the baseboard, we got that part out of the way first. Concerning the wood used, buying longer lengths is a better value as long as the lengths work out to your advantage. This of course depends on the dimensions of your room. Always over estimate what you need. 10% – 20% is usually safe and in most cases you can return what you haven’t used. 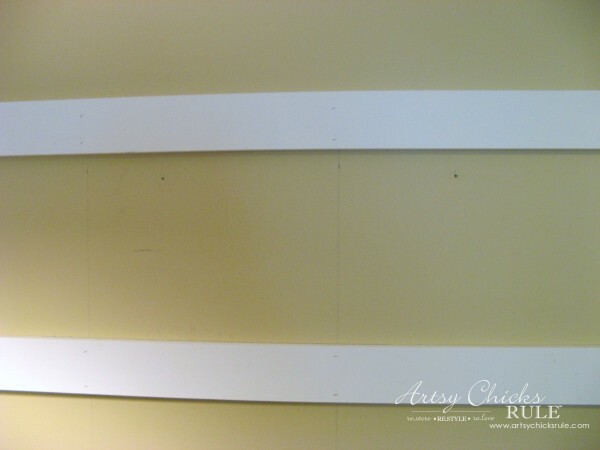 We used pre-primed boards to reduce the time involved with painting and finishing. It’s best to draw your plan out on paper to visualize the look as well as pre-determine your lengths and then buy accordingly. 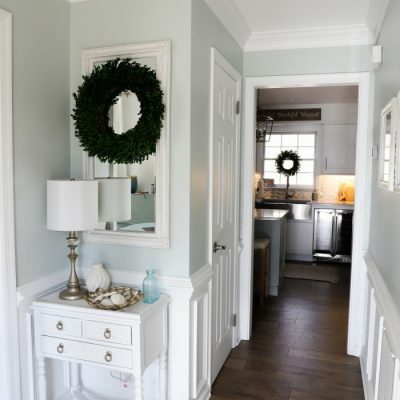 Mark out your plan on your walls, measuring top down all the way around the room. 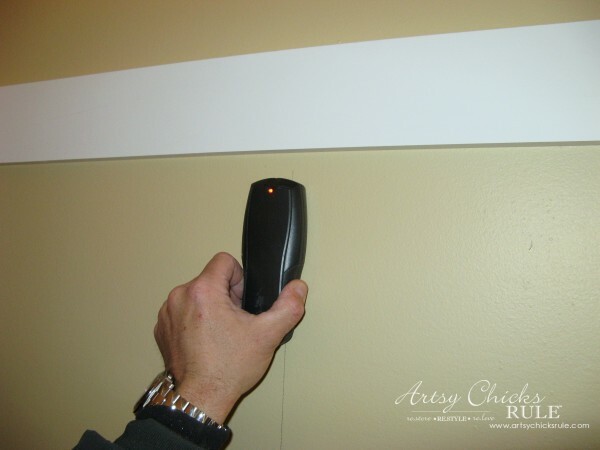 Double check your measurements and confirm that every mark will be level throughout the room. If you have a laser sight level, even better. Carpenter’s Rule: Measure twice and cut once. 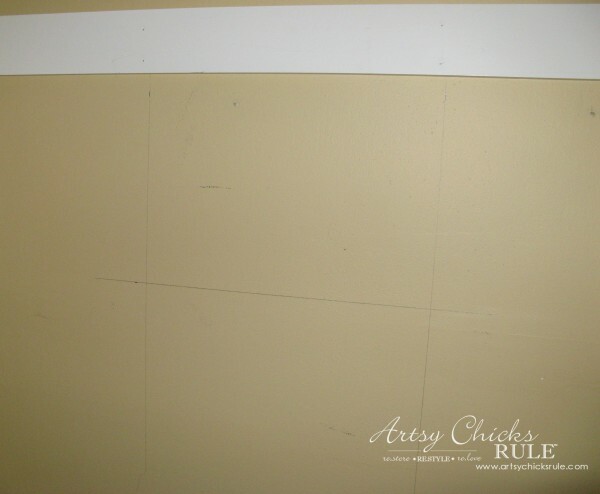 Additionally, while laying out the room, it’s best to mark on the walls where your studs are located. (using the Stud Finder) Also, be mindful where all your light switches and electrical wall plates land within your design. 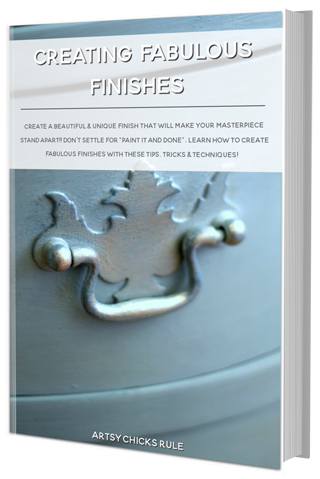 It’s a far cleaner look to your finished project if you don’t have to cut out for light switches and wall plates. 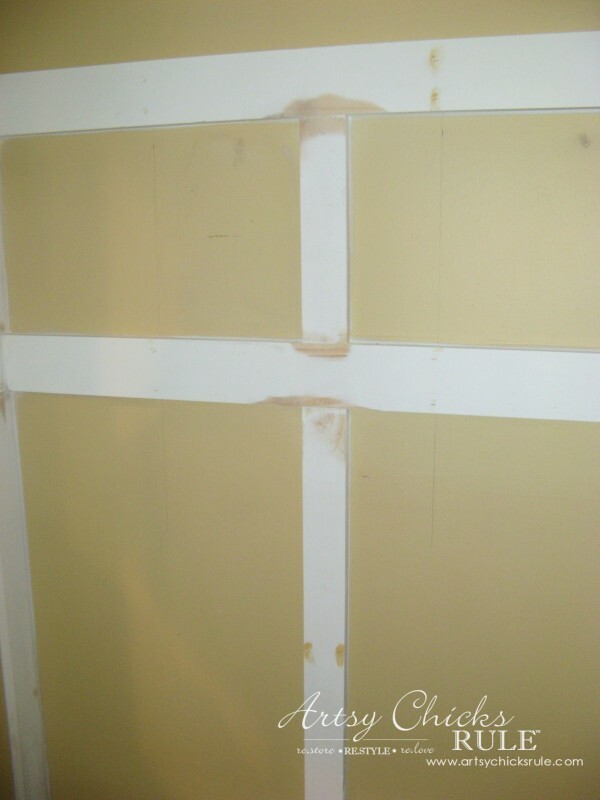 Cut and install the top boards and base boards first. 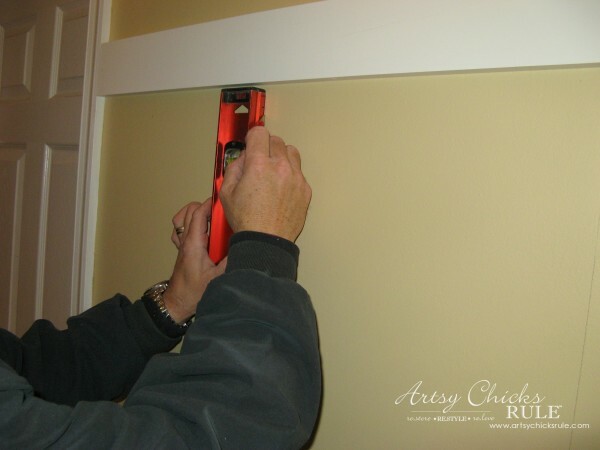 Nail these boards into the studs that you previously marked along the walls, confirming that the boards are level as you move around the room. I used a pneumatic nail gun to keep these boards level and in place. I then came back and finish nailed them for a permanent application. 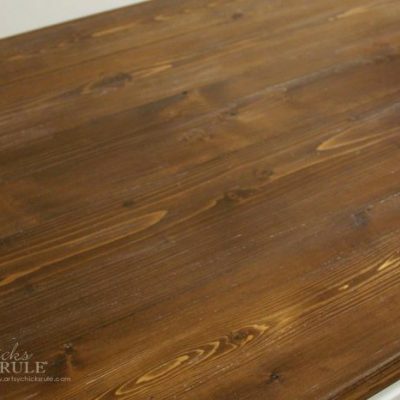 You can also apply ‘liquid nail’ glue, to the backs of these boards for additional strength down the road. Once complete, move to the vertical boards, cutting to length piece by piece to ensure a tight fit. Check that these boards are plumb before nailing them to the wall. Plumb: Plumb is defined as true to a vertical plane. Level: Level is defined as true to a horizontal plane. Top horizontal piece goes first, then base. Measurements made, nails in studs to begin. Second horizontal piece is applied next. All horizontal pieces are attached to the wall at this point. Next will be the vertical pieces. I used spackle and putty to fill holes, etc. 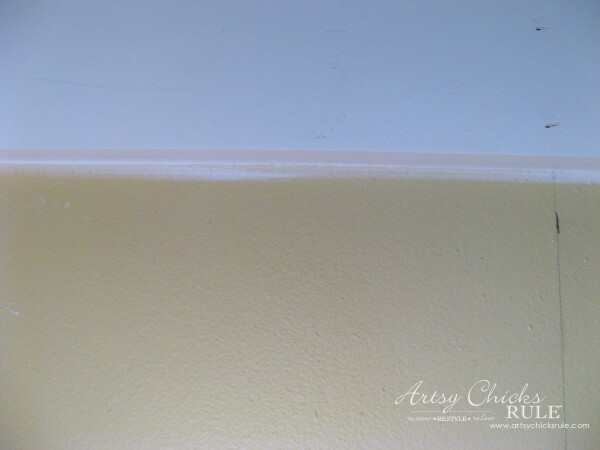 I then used my electric sander to smooth all seams very well. 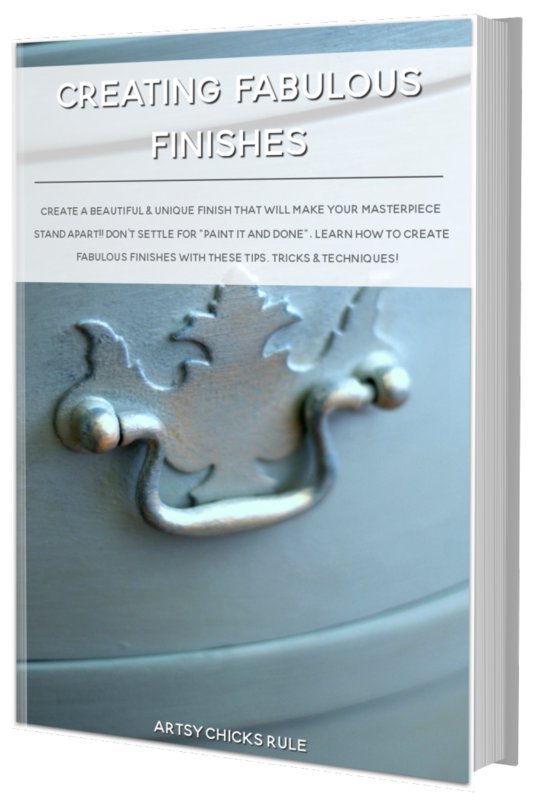 See why painting first would have been easier…and smarter? I did it as we added boards hoping to make the job easier. I love a seamless look. This is how we finished around the fireplace. 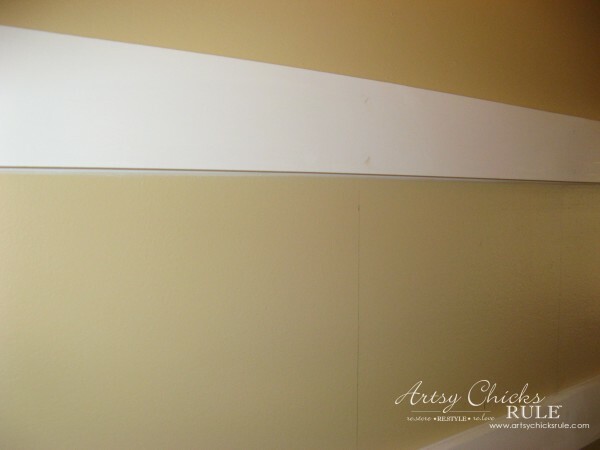 I didn’t want a ledge on this board and batten, like in the kitchen, but we did add this little shelf later. 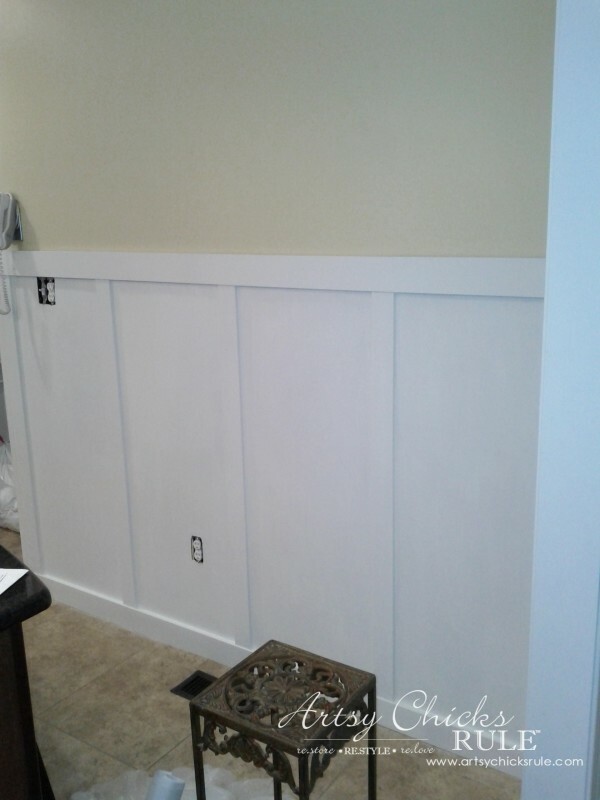 You can read about that here… “Family Room Updates” and see more of the finished walls in that post. Oh and measure…and then measure again. 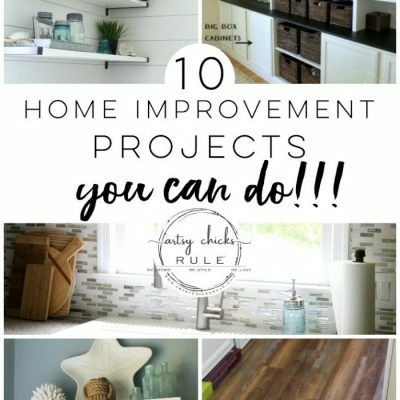 I hope this helps you with your project if you decide to board and batten…or even faux board and batten your walls. I have always loved this look. 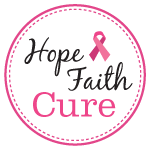 You and the hubs did a great job! Thank you Sheila! :) It really brightened up our room even more! 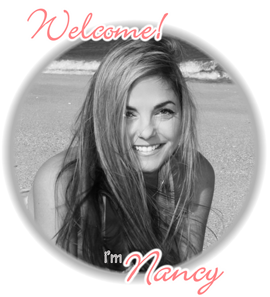 Nancy you have no idea how timely this post is! 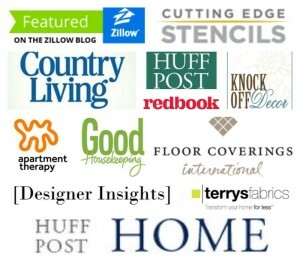 This weekend on our To Do List is adding a board and batten feature in our dining room. Just as I was reading your post Mr. Frugalista came home from work and he and I read your post together. Your husband’s tutorial came in very handy because we weren’t sure exactly what size lumber to buy. 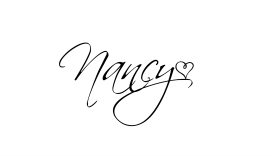 Thanks to you guys I feel totally confident starting this project! Oh how neat Marie!! :) I can’t wait to see yours!! You will love it! It’s amazing how much it really changes a room. Have a great weekend Chris! !